Following months of hearing Universal Music Group's issues with a variety of video hosting services, DivX - one of the subjects of that argument - has filed a pre-emptive federal lawsuit that asks for the court to eliminate the "spectre of litigation" currently pertaining to its service. Universal's main problem is with DivX's Stage6 video hosting service. Stage6 requires the DivX codec instead of Flash - the format commonly found on YouTube videos. According to the report filed with the court, Universal has already corresponded with DivX. It explained that the site is: "knowingly involved in the infringement of Universal Music Group's copyrighted materials, and exploits that widespread infringement for its own commercial gain". Obviously, DivX disagrees with that assessment. It asserts that it complies with the US government's Digital Millennium Copyright Act - the law regulating all issues of copyright and media piracy in the US. Included in the DMCA is a stipulation that a copyright holder can request the takedown of its material being improperly hosted on a video service. Citing this section of the DMCA, DivX explained that Universal has instead "chosen to posture and threaten DivX in the hopes of extracting an unwarranted windfall". For its part, DivX is claiming that it complies with every DMCA takedown request it receives and goes even further by using file hashes to block repeated uploads of the infringing content. 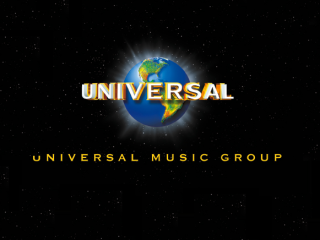 According to reports, Universal Music Group was taken off guard with the pre-emptive lawsuit, but it will contend its point in court. The company believes DivX is illegally supporting copyright infringement and should be charged under the fullest extent of the law. So far, there is no court date set, but keep checking back for more information as it becomes available.